The Japanese American Optimist Club (JAO) held its annual Children’s Halloween Party at L.A. Elementary School in Koreatown on Oct. 25. 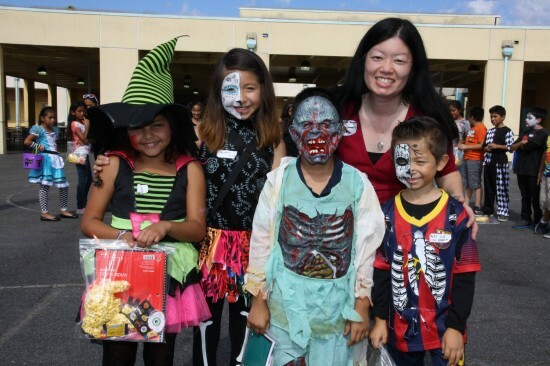 Led by co-chairs Kari Tani and Ryan Taketomo, JAO members and their friends created a party for 100 invited elementary school children from L.A. and Hobart elementary schools. 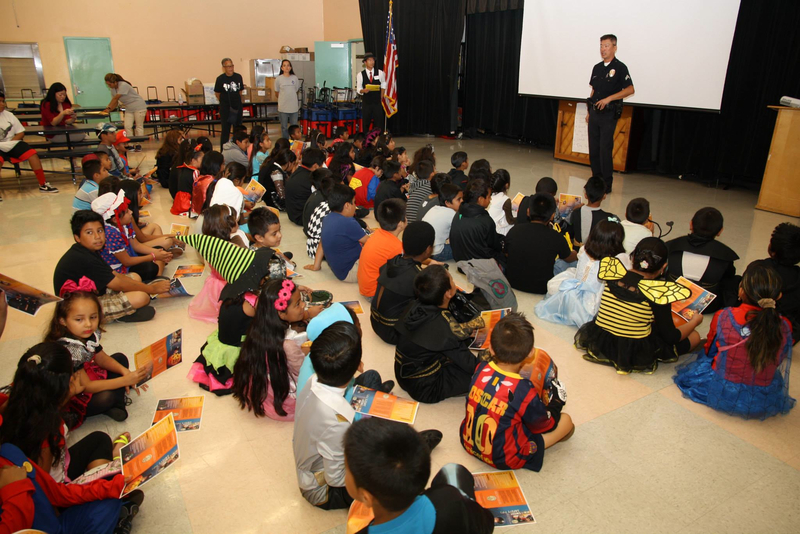 The children started the morning off by hearing a Halloween safety talk by LAPD Officer John Cho, who spoke about going trick-or-treating with an adult, avoiding houses without a light on, and making sure they can walk and see safely in their Halloween costumes. Elementary kids receive a Halloween safety talk from Officer John Cho. The children enjoyed lunch and rotated through activities, including a haunted house, ring toss, improv exercises, face-painting, and arts and crafts. The costumed children then participated in a costume walk led by JAO member Billy Wing. JAO President Joyce Nakashima, JAO President-Elect Eileen Yoshimura, and JAO member Will McElroy served as judges for the costume contest. Four children were selected to receive a special prize. All the children were provided with a goody bag filled with candy, Halloween-themed toys and pencils, and a donated “Angry Birds” plush toy. 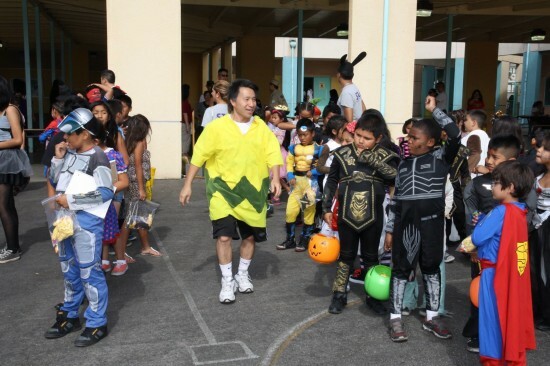 JAO member Billy Wing as Charlie Brown and elementary kids in a costume contest walk.